Johannesburg – The transport department was concerned that many South Africans were still having to use untarred roads, Transport Minister Dipuo Peters said on Tuesday. While a lot had been achieved in transport in cities, many rural transport networks were still struggling, she said in a speech prepared for delivery at the launch of transport month in Pretoria. Rural transport development had become one of the country’s main problems. 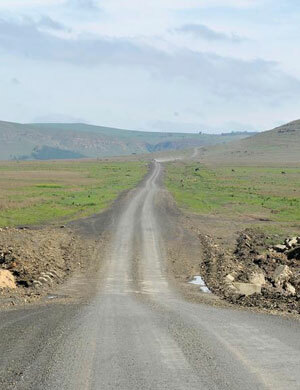 “Some in the rural areas have to walk long distances to access public transport. It is important for all of us to focus on the improvement of mobility and access in rural areas.” A national travel survey had highlighted that a high percentage of the population could not afford transport costs. This in turn affected their access to social and economic services, she said. Peters acknowledged that much had been achieved in transport. In centres such as Johannesburg, Cape Town, Port Elizabeth, and Rustenburg there were investments in projects such as the Bus Rapid Transit system. “The system is a catalyst for urban regeneration, reconnecting isolated nodes and bringing disconnected communities closer to economic opportunities.” She said the country had more tarred roads than the rest of sub-Saharan Africa combined. “They are worth over R1 trillion, which is equal to the national budget for a year. We need to spend R30 billion a year on just maintaining them, but at the moment we can only spend R30bn on both maintenance and new construction.” Hundreds of billions were being invested to expand and upgrade rail networks, harbours, and airports, she said. The aim was to enable easy access to goods which the country’s economic growth depended on.